This desk is for the real timber lover. The timbers natural edges have been retained, showcasing the work of nature. 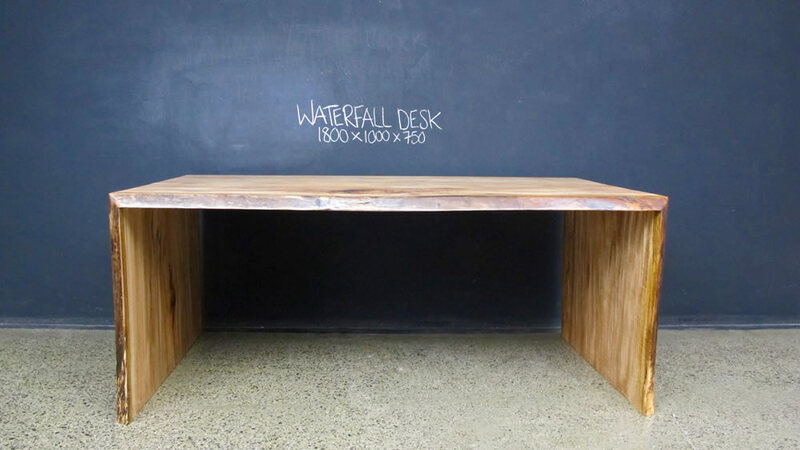 Using a single piece of timber, two sections have been cut on an angle and mitred back on it, creating a magnificent continuity of timber grain throughout the entirety of the desk. Mortice and Tenon. Mitre joined and tenoned edges. 3 x coats 2 - Pack (clear lacquer). The natural edges are achieved by patient hand sanding ensuring the outside bark is preserved. The large, naturally occurring gum pockets have been filled with a clear epoxy resin to retain the timber’s natural features.